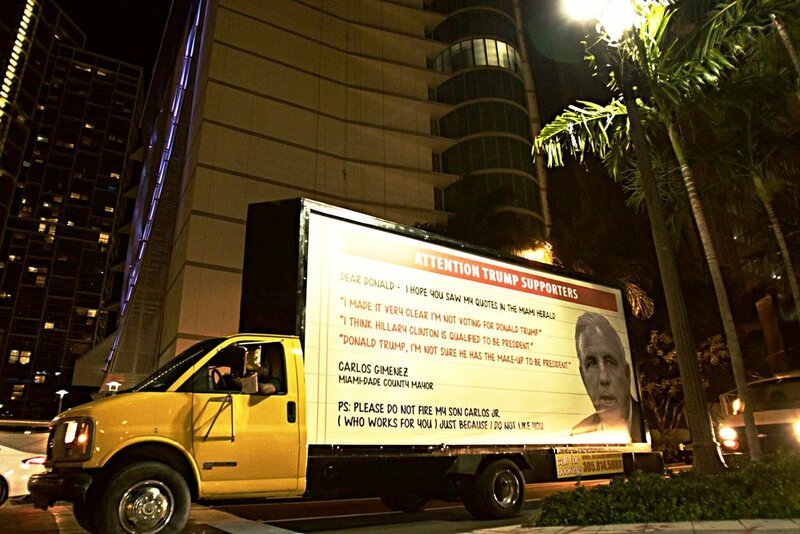 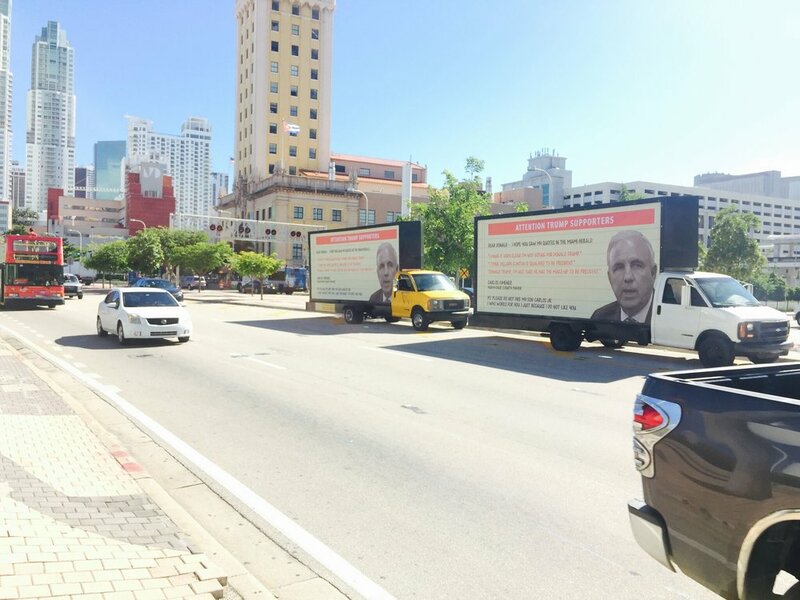 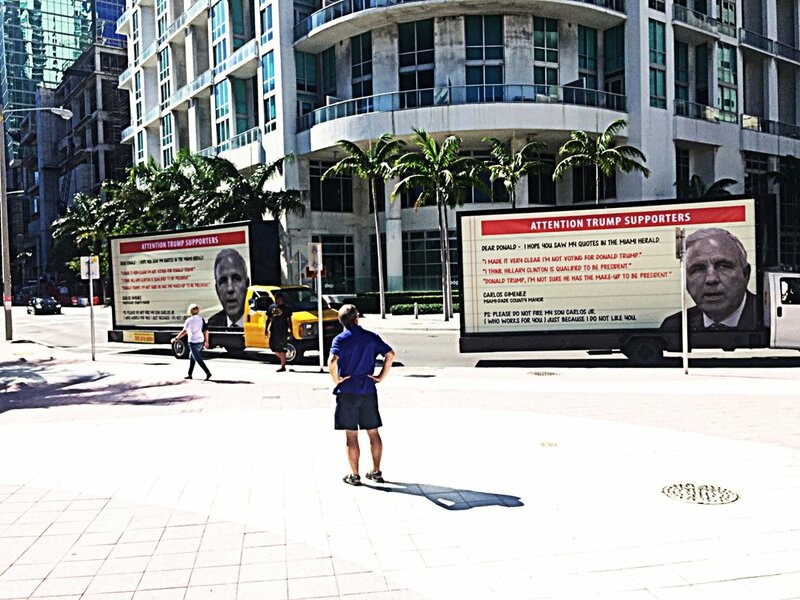 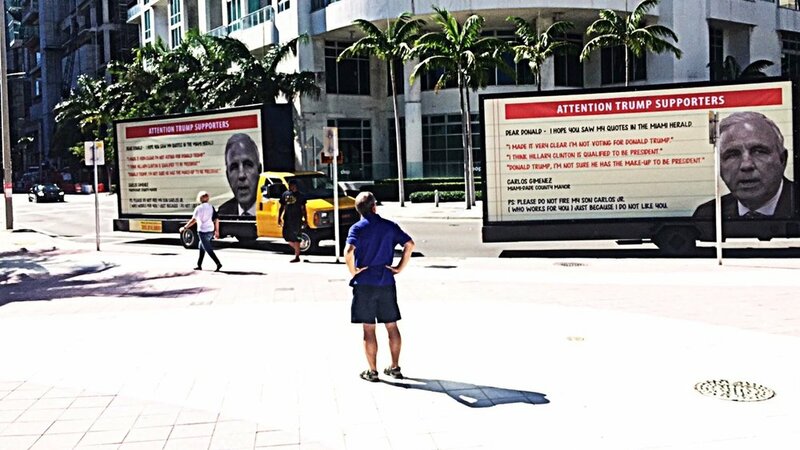 Mobile Billboard Miami was contacted by a non-disclosed group for mobile billboard targeting Donald Trump rally taken place in Downtown Miami @ James L. Knight center. 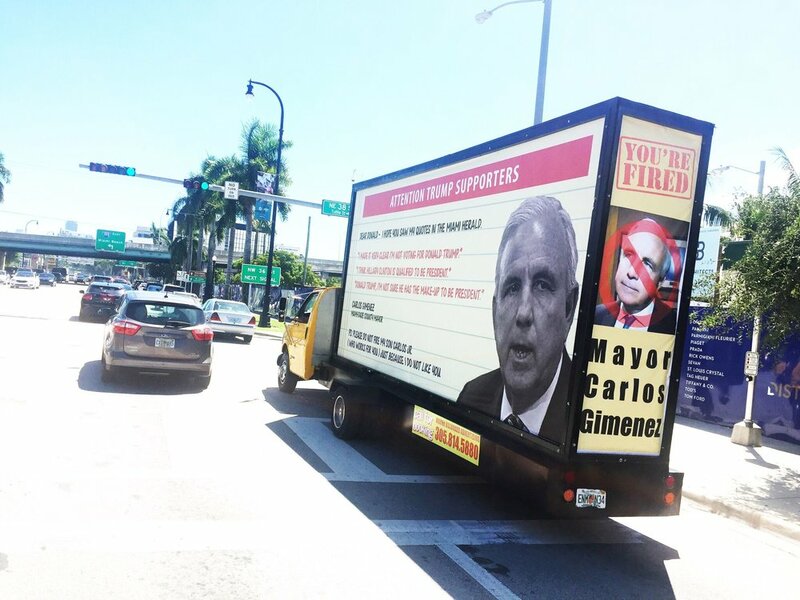 Anti-Gimenez billboard drove thru downtown Miami down to Brickell. 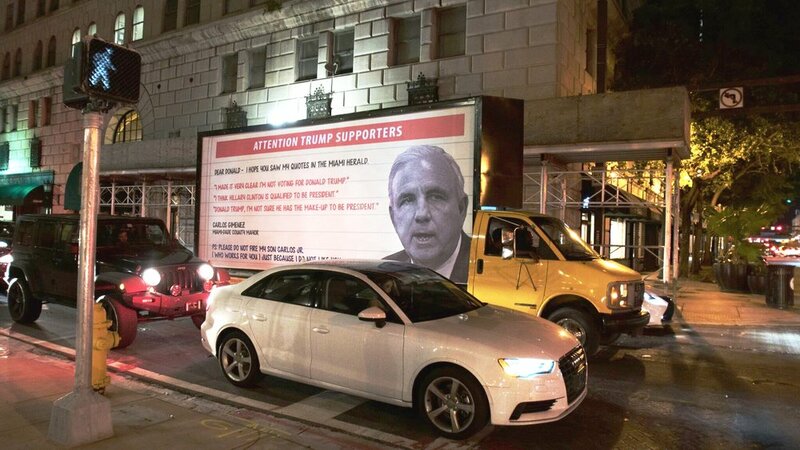 Protestor cheers on and we all know how the trump supporters responded.